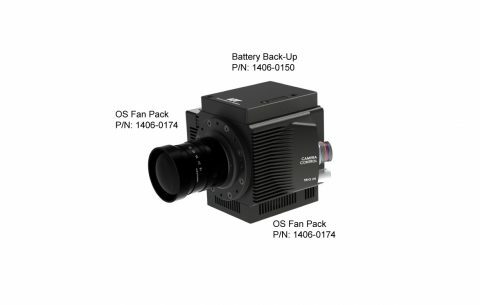 The IDT Os Series Version 3 Airborne Camera comes with 16 GB of integrated DDR and can be configured with up to 1 TB of non-volatile solid-state memory. 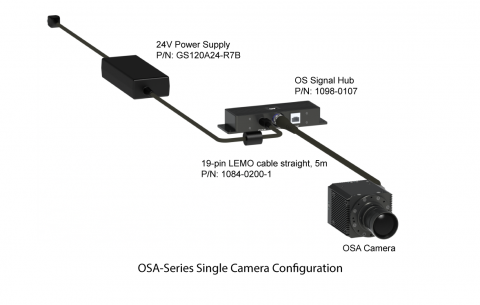 With a maximum resolution of 1600 x 1200 pixels, the OSA8 can record up to 1,500 fps. 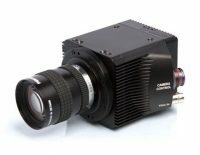 Latest CMOS sensor technology produces extremely low-noise images. Support for several sensor platforms deliver various resolutions and frame rates. Power Supply, OS Moutining Plate and Break-out cable for easy out-of-the-box operation are included. 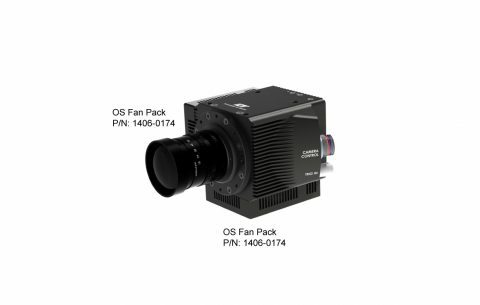 IDT Os-Series Version 3 Airborne Camera with integrated storage: 8GB of DDR and optional solid-state non-volatile memory of up to 0.5TB.With a maximum resolution of 1920 x 1280 pixels, the OSA7 can record up to 1,350 fps. 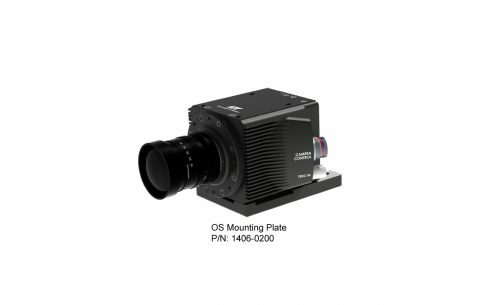 Latest CMOS sensor technology produces extremely low-noise images with up to 12-bit mono or 36-bit color.Support for several sensor platforms to deliver various resolutions and frame rates. Power supply and break-out cable for easy out-of-the-box operation are included. 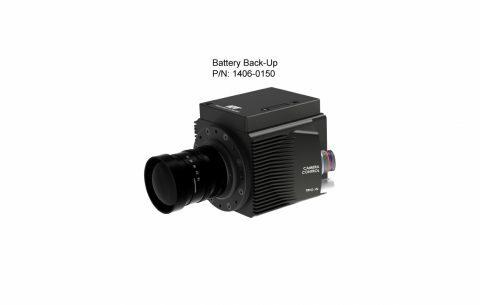 IDT Os-Series Version 3 Airborne Camera with integrated storage: 8GB of DDR and optional solid-state non-volatile memory of up to 0.5TB.With a maximum resolution of 16000 x 1200 pixels, the OSA8 can record up to 1,600 fps. 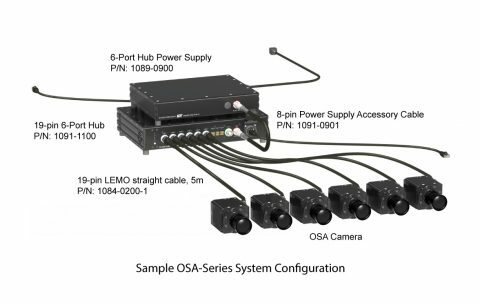 The iN/OS signal hub provides power, communication, IRIG, and synchronization to iNdustrial, OS, CrashCam, and Airborne Model cameras. Add PIV to cameras configuration. Includes a timing interface to synchronise and trigger any laser. Supports double exposure with 200 nanosecond interframe time. Includes dongle with proVISION software. Add two additional fans to cameras configuration. 19-pin Camera Module for up to 4 NXA, iN, OS, OSA, CC series cameras. 16-pin Camera Module for up to 4 NR or NX series cameras. LED Module for up to 4 CrashLED 160, LED 12, LED 8, or FlexLED. The IEEE1588 PTP HUB is a fully portable, compact and rugged appliance, designed to provide Precision Timing over Giga Ethernet and synchronizes any IEEE1588 supported device that shares the same network. 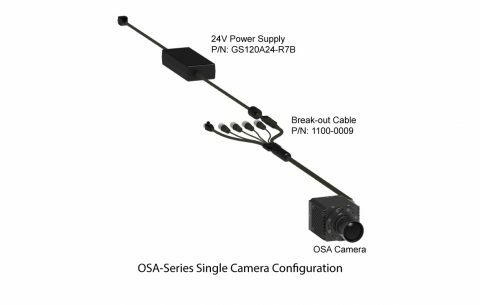 Compatible with iN, OS, OSA, CC series cameras. Package includes IEEE 1588 PTP Hub Battery 1425-0151 and IEEE 1588 PTP Hub Battery Plate 1425-0152. Add on at manufacturing facility. IEEE 1588 PTP Hub Power Supply. 4-pin LEMO connector. 3-port minHUB with wired and AC wireless control. 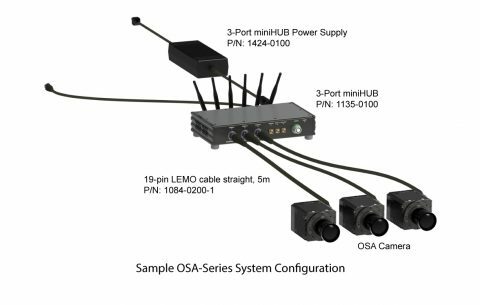 Connect up to three (3) iNdustrial (w/o LEDs), OS, CC, or NX-Air cameras. Camera connections are 2M, 19-pin LEMO. Input 10-36V. Output 24V. Power supply (1424-0100) included. 6-port hub with battery backup and wired and wireless control. Connect up to six (6) NX-Air, CC, OS, OS-Air, or iNdustrial cameras (w/o LEDs). Camera connections are 2M, 19-pin LEMO. Input 10-36V, Output 24V. 24V Power Supply for NX-HUB 1091-0900 and NXA-HUB 1091-1100 includes 1091-0901 cable. 8 pin to 8 pin LEMO cable for connection from 6 port hub (1091-1100) and to power-supply (1089-0900). LEMO cable, 19-pin to 19-pin, straight. 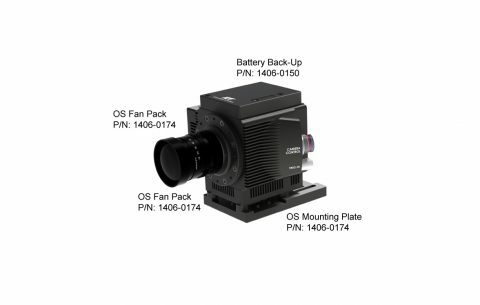 Compatible with 19-pin cameras and hubs. Sizes include: 1084-0200-1 (5m), 1084-0200-3 (10m), 1084-0200-5 (20m). LEMO cable, 19-pin to 19-pin, right angle LEMO connector and straight LEMO connector. OS-V3 and O Series: right angle connector faces down. For NXA series: right angle connector faces up. 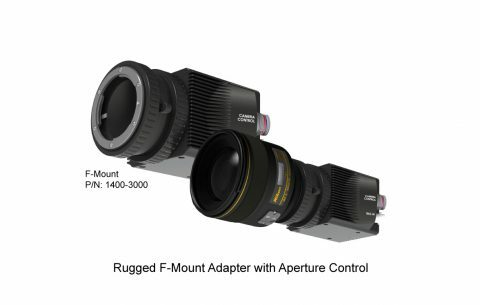 Compatible with 19-pin cameras and hubs. Sizes include: 1301-0400-5 (20m). Up to 2336 x 1728 in resolution (NXA5). Records up to 4000 frames per second (NXA8). Up to 2560 x 1600 in resolution (CC-2020). Records up to 4,000 frames per second (CC-4010). 2560 x 1440 in resolution (CCM-3525). 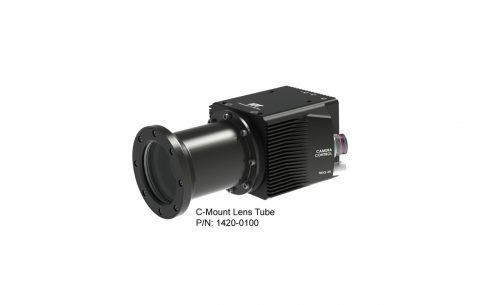 Records up to 4000 frames per second (CCM-1540). Up to 4k (3840 x 2400) in resolution (OS10). Records up to 8,000 frames per second (OS8). Up to 1920 x 1280 in resolution (OSA7). Records up to 1600 frames per second (OSA8). Up to 3840 x 2400 in resolution (O10). Records up to 3000 frames per second (O9). Up to 2560 x 1440 in resolution (XS-1440 PCIe 2.0 or 3.0). Records up to 670 frames per second (XS-1440 PCIE 3.0). Up to 2336 x 1728 in resolution (Y5). Records up to 12,300 frames per second (Y7). © 2019 IDT Europe. All rights reserved. Specifications are subject to change without notification.